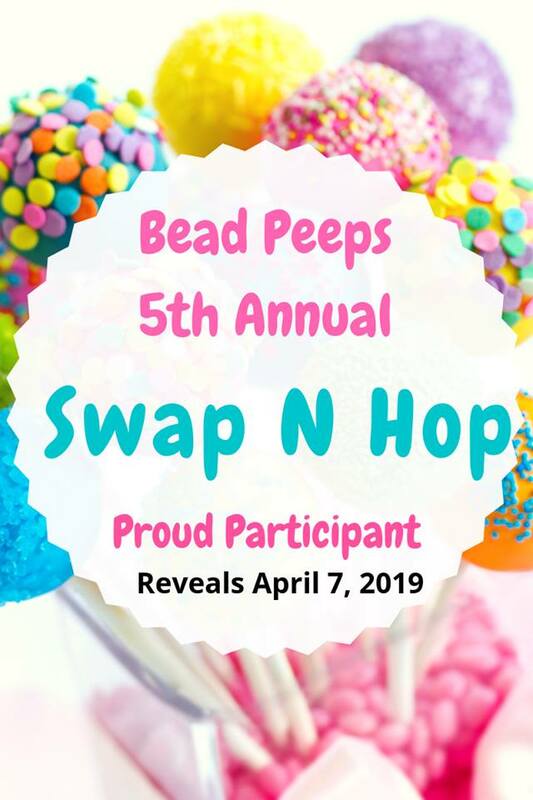 Welcome to our 2019 Bead Peeps Swap N Hop Reveal! 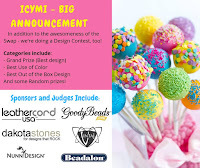 We joined this event for its 5th running year; an event where beaders and jewelry designers partner up, swap beads, create and then showcase their creations in blog and social media hops. First, take a look at what we sent to our partner Sarah Auerbach from New York. She likes to work with simple and striking styles, so we sent funky stones, crystals, vintage glass and our art solder pendant and links. 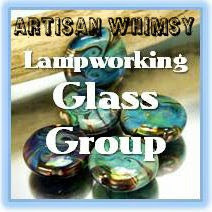 We can't wait to see what she created with the rustic and eclectic selection we sent! We'll add a link here when she posts what she created for the 2019 Swap N Hop. Here is the collection of colorful beads that our partner Sarah sent us - it includes vintage glass, seed beads, brass stampings, and some very fun handmade comic book beads that our partner created. 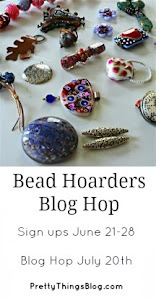 There are 3 of us creating for this Swap, and we all have different styles of jewelry that we like to play with, so our partner sent us all different kinds of beads and findings to inspire us. While we have seen comic book beads and some of the creations that artists use them in, we've never actually worked with them before, so we were very intrigued when we saw our partner's handmade ones in our swap collection. We loved that they were so lightweight, so we knew they'd be perfect in earrings. To keep in line with the lighthearted comic book theme, we created Wonder Woman chandelier earrings! These bright and colorful earrings feature a filigree crown that we've adorned with Swarovski Volcano crystals and a brass star, etched Czech beads and hand stamped dangle rays that read "She Imagined It Was Who She Was Supposed To Be." The comic books beads from our partner were made with Donald Duck comics, so we used a little Modge Podge to add our Wonder Woman comic book strips to the beads. These earrings were a collaboration from Deborah and Catherine. Our next creation was made by Gianna - she really created a beautiful seed beaded collar necklace using the triangle seed beads from our partner's swap. This statement necklace features a lovely almost ombré effect as it changes colors from black, navy blue, silver and back to black again. It also features tiny crystal beads as well as seed beads for even more sparkle! Gianna used a right angle weave to create the net-like effect. Thank you all for viewing our 2019 Swap N Hop creations! 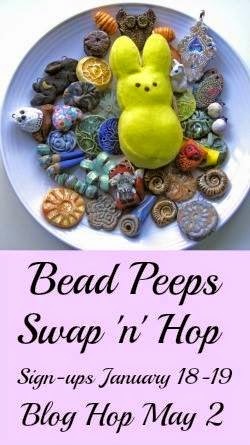 We want to send Linda Anderson of Bead Peeps a big thank you for hosting the 5th Annual Swap N Hop. 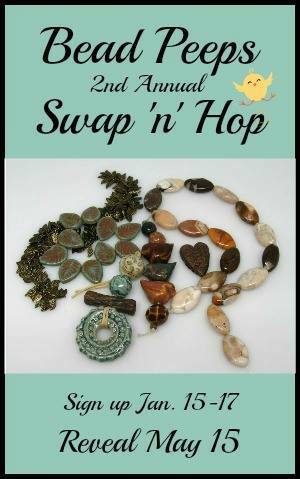 Don't forget to hop to all the links below to see what the other Swap participants created! 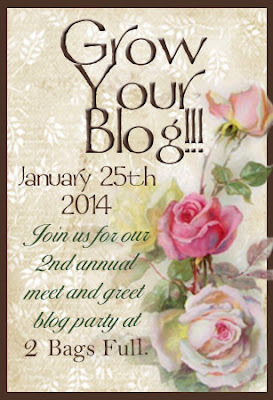 Catherine La Vite http://drygulchbeadsandjewelry.blogspot.com/ YOU ARE HERE! These are two very cool designs. As a geeky gal, I have to say I'm more partial to the comic book earrings, but they're both fabulous! I just love your Wonder Woman chandelier earrings. They are such fun! The see bead collar is beautiful. Thank you very much - we had a lot of fun with those! Love your designs, y'all did a fun job. Both the pieces are extraordinary in different ways. From a client's point of view, While I will wear the wonder woman earrings now, the necklace will be something that I'll cherish wearing for a long time. I looove the earrings! They're so GREAT! And the necklace is a real stunner! Beautiful work ladies! 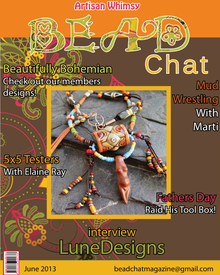 Great use of the comic beads - all the elements of the design are so quirky! The necklace has a stunning classic vibe to it! I always loving seeing what you ladies create. Such different styles but always fabulous designs! Love how the comic book beads were used. I've never seen those before so now I must investigate! 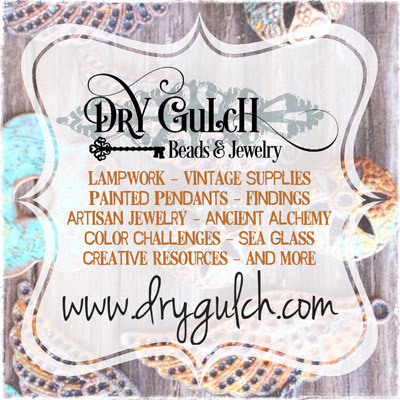 The metal stamped earrings are fabulous, Boho style. Awesomely unique earrings, lovely statement neckwear.